The rand is declining and people in South Africa want President Jacob Zuma to resign. South Africa are in its worst political crisis in a decade, and the economy is growing at the slowest pace since the 2009 recession. Africa`s former President Kgalema Motlanthe also wants President Jacob Zuma to resign, joining calls by the African National Congress’ (ANC) ally in government the South African Communist Party. ANC came to power under Nelson Mandela. Yesterday, SP Global Ratings downgraded South Africa`s sovereign credit rating to BB+ grade, saying that the recent firing of the internationally respected finance minister posed a risk fiscal policy. S&P downgraded South Africa to junk. Another rating agency, Moody`s, which has South Africa two notches above «junk» status, are planning to deliver a review on Friday. Fitch is in the middle with only one, which means three different views. The agency said the outlook is very «negative» claiming it is a political risk that will remain elevated for the rest of this year. We also might see political shifts that would undermine fiscal and economic growth outcomes more than the agency projects. The rand plummeted right after President Jacob Zuma fired his well-respected finance minister Pravin Gordhan last week during an overnight Cabinet shuffle. The rand plummeted about 5 percent in the aftermath. President Jacob Zuma has survived several no-confidence votes in recent years, and some analysts say they belive the no-confidence vote is unlikely to pass. It`s a 400-member parliament in Africa, and the ANC commands a strong majority in the parliament with 249 seats. The opposition must have at least 50 votes in favor by ANC politicians for a no-confidence vote to pass. Investors want a bigger premium over Treasuries to hold South African dollar-denominated debt than Russia or Brazil. Both are junk credits. Chinas GDP is still high, but its falling and it can go below 4%. The Chinese economy grew an annual 6,8 percent in the fourth quarter of 2015 which is the weakest since first quarter of 2009. For the full year of 2015, GDP expanded by 6,9 percent which is the weakest growth in 25 years. China`s GDP annual growth rate came in at 3,80 percent in the fourth quarter of 1990, and peaked at an all-time high of 15,40 percent in the first quarter of 1993. 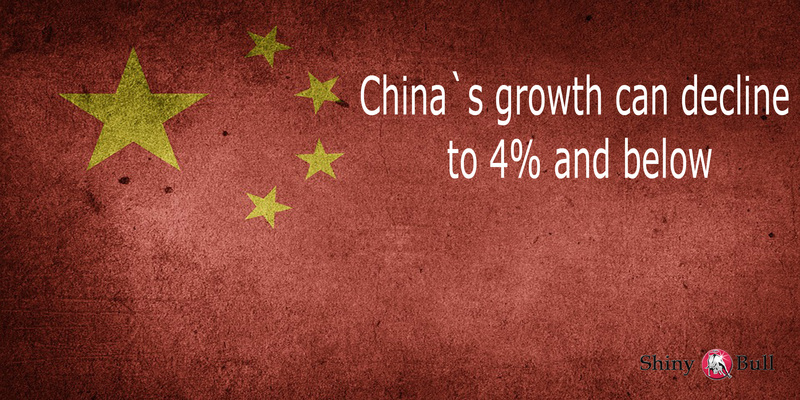 GDP annual growth rate in China averaged 9,88 percent from 1989 until 2015. Consumer prices in China rose 2,3 percent YoY in February of 2016 which is up from 1,8 percent in January. This is the highest inflation rate since July 2014. Inflation rate in China reached a record low of -2,20 percent in April of 1999, and an all-time high of 28,40 percent in February of 1989. Inflation rate in China averaged 5,51 percent from 1986 until 2016. The most important components of the CPI basket in China, are Food with a 31,8 percent of total weight and Residence at 17,2 percent. Consumer prices rose 2,3 percent in February this year and that is the highest inflation rate since July 2014, as politically sensitive food prices surged 7,3 percent over the Lunar New Year holiday and cold weather. Africa is another growth story. A quick look at the chart tell us a new fx bull market is imminent. Rand looks great vs pound. South Sudan is the youngest nation in the world and they are officially recognised as a country in July 2011. Despite taking about 75 percent of old Sudan`s oil reserves, it is one of the poorest regions in Africa and government revenues are still dependent of foreign aid. They had massive growth in 2014. South Sudan expanded 15,90 percent in 2014 which is an all-time high, but it`s a young nation and keep in mind that they reached a record low of -46,10 percent in 2012. 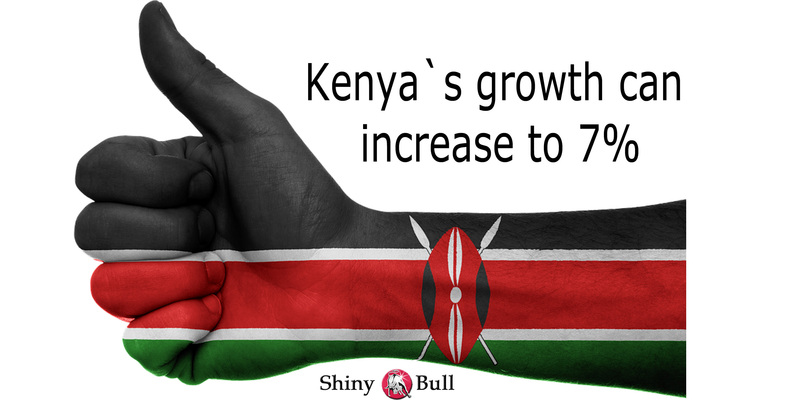 Kenya has been experiencing steady growth for some years now. The World Bank predicted a growth rate of 6,6 percent in 2016 and 7 percent next year. How are they doing it? The growth comes from massive investments in infrastructure and jobs, and they are taking steps to improve the business climate, and a boost in exports. The threat of terrorist attacks from Al-Shabaab cause security concerns. Kenyas tourism industry is one of the countrys key sectors and Al-Shabaab has a negative impact on that industry. Their manufacturing sector has also been stagnant for some years. In addition, there is a lack of competition and minimal production. Kenya is still highly dependent on agriculture and the sector made a significant 26 percent of the countrys GDP annually, and another 25 percent indirectly. The sector accounts for 65 percent of Kenyas total export. Manufacturing is also important for Kenya`s growth. Investment opportunities include manufacturing of fertilizer, agro-processing, machine tools and machinery, garments, and engineering products for both domestic and export markets. China has a serious problem, and that is the pollution. You have probably been there, or seen some pictures from a very cloudy China? Some days in China is described as life threatening. People walk around in the city with masks and look like zombies from another planet. The Chinese government need to do something very fast, and one thing they have decided to do is to slow down the crude oil consumption. Therefore, China`s demand for natural gas will increase and they need to pay a heavy price, simply because of the supply and demand in the market right now. They need to buy more than they can produce, and that is a recipe for energy disaster for them, because they must import more natural gas, which gives the rest of the world an energy boom, and that is a game changer for the natural gas industry. The Chinese government must act fast, because of the rising costs from pollution related illnesses. Their natural gas reserves aren`t the biggest problem for them, but their pipline infrastructure is weak, in addition to the location of the reserves and the inadequate technology to extract these reserves. Exxon Mobile says in a study that China`s natural gas consumption will almost triple this decade to 14 Tcf (trillion cubic feet). China produced only 3,3 Tcf last year, while their consumption of natural gas was 5 Tcf, and the gap between supply and demand is growing fast. It`s estimated that natural gas will provide 10% of all the energy used in China by 2020. Some of that will be made in China, but most of it will have to come from imports. If you think that this is a great opportunity, you have to think again, because who will profit from this boom? Putin`s Russia and Australia will! Gazprom signed a 30-year deal to supply China with 1,3 Tcf of natural gas per year, starting in 2019, and that contract is worth $400 billion. The gas will come from Gazprom`s prolific fields in Siberia. The Australian Woodside Petroleum will also profit from it, because they are close to China`s LNG operations that is already up and running. They have piplines on Australia`s West Coast, and they have invested over $200 billion in LNG operations. Australia is expected to unseat the current LNG leader, Qatar in the next few years. 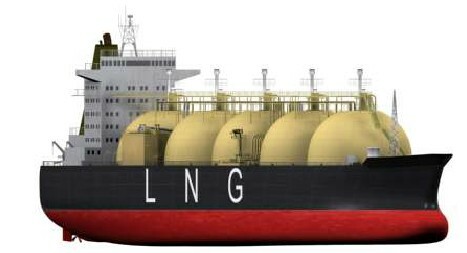 Qatar is the world`s biggest supplier of LNG, and by 2020, the U.S will account for about 11% of the total LNG exports. Australia has a massive potential to become a big exporter of LNG, as they are Asia`s closest source of LNG. We are talking about South Korea, China and Japan, and that`s the main reason why Australia will become the world`s biggest supplier of LNG in a few years. LNG exports will displace iron ore as the biggest source of Australia`s export growth in the next years. It`s expected that Australia will export 80 million tons of LNG by 2018. According to Australia`s Bureau of Resources and Energy Economics, earnings from LNG projects are forecast to increase five times. More than $49 billion through June 2018. Australian gas output will rise to 100 million metric tons by 2018. It`s gas exports are expected to increase to 81% of production by 2018 (53% in 2012), they has more new LNG plants under construction than any other country, including the United States. The new projects will add 61,4 million tons of LNG capacity by June 2018, and they will have 85,8 million tons of capacity by that date. There are only 17,8 million tons of LNG capacity under construction in the U.S.
Another country`s that can become massive LNG exporters in the future is Canada and Africa. 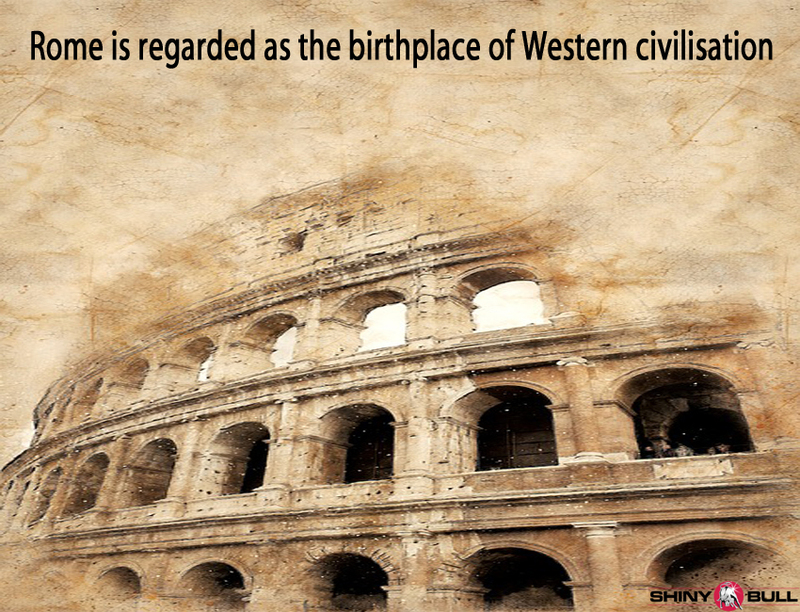 The problem in both country`s right now is their infrastructure. I will write about that later in a new article from shiny bull.